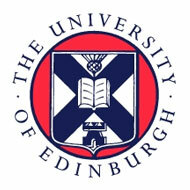 The University of Edinburgh Business School is seeking to appoint a Teaching Fellow/Senior Teaching Fellow in Innovation and Digital Entrepreneurship, within its Entrepreneurship and Innovation Group. We are seeking a candidate to contribute to the objectives of the Business School by engaging in high-quality teaching on the Group’s growing portfolio of undergraduate and postgraduate courses and programmes, in areas including digital business. From time to time, members of academic staff may be asked to take on managerial and administrative duties, such as leadership of teaching programmes. For appointment as a Senior Teaching Fellow there is an expectation that the candidate will have extensive successful experience of teaching and the role will include higher level leadership and management responsibilities. This is a full-time (35 hours), fixed-term appointment for three years. Informal enquiries may be made to Professor Sarah Cooper, Entrepreneurship and Innovation Group, via email, sarah.cooper@ed.ac.uk or tel: +44 (0)131 651 5247. Salary: Teaching Fellow UE07 £33,199 to £39,609 /Senior Teaching Fellow UE08 £40,792 to £48,677. Closing date: 5pm (GMT) on Monday 22nd April 2018.